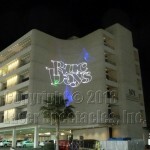 Laser Shows on Buildings | Laser Spectacles, Inc.
Laser shows are great projected on the sides of buildings! 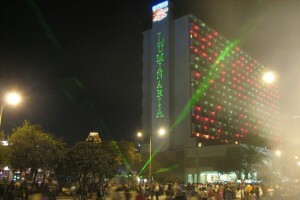 Often, a building will be taller than the surrounding area; if we can use it for a projection screen, the laser show will be available for a wider audience. 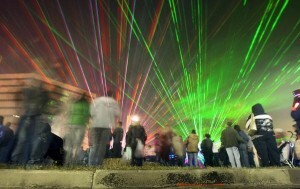 If the lasers can communicate with a wider audience than the audio system will reach, consider working with a local radio station to simulcast the music for the show. The audience can tune in on whatever receiver is in their area and enjoy the full experience. 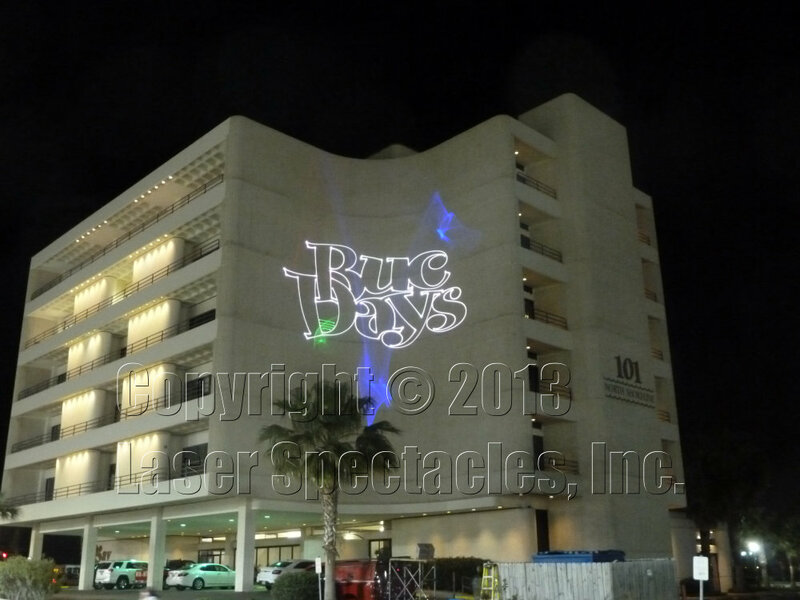 We have found that it is not enough just to project the laser graphics on to the side of a building, impressive as that might seem…. 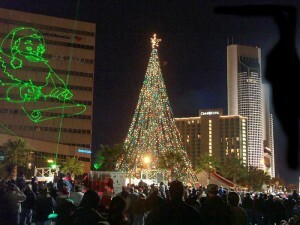 we always add an atmospherice beam display to complete the laser show! These colorful beams of laser light dance to the music in intricately choreographed patterns, and bring the show out over the audience. Theatrical haze machines keep the air a little foggy so that the laser beams show up. We are looking for a relatively flat wall. Buildings don’t have to be super tall to work well. Usually, the scale of a small building is still much more in relationship to the audience, so effective images can be created on any building. Bricks seem to disappear while watching a moving laser image, and often windows are not in the way, either. But we are always looking for the elusive large, blank white wall to use for our laser projections!